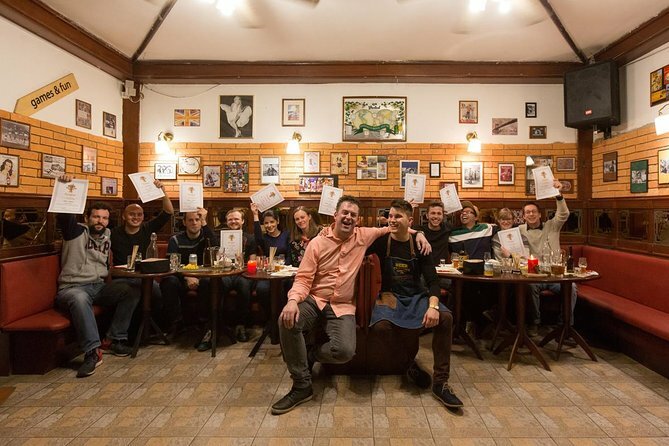 Try 6 Slovenian craft beers and learn must-know beer facts in a fun way from a beer expert in our local pub.Beer Tasting in Ljubljana is fun and interactive 2-hour beer experience for beer lovers. We will tell you fun stories, teach you must-know beer facts, we will play games, you will get some challenges... You will never look at beer in the same way! 2 hour Beer Tasting starts everyday at 7 pm in Holidays Pub, Slovenska cesta 36. Meet us at the entrance of the bar or ask the waiters. The tasting is conducted in English by a beer expert. You will taste 7 Slovenian craft beers, learn must-know beer facts about how beer is made, what are the differences between different beers. You will learn about the different types of Slovene beer. Perfect for both novice and expert beer tasters. It's interactive, includes games and challenges, which makes it much more fun than other tastings.